Dr. Don Sin introducing the conference. Searching for collaborations in hospitals, industry, or academia? Passionate about improving care for patients with airway disease? 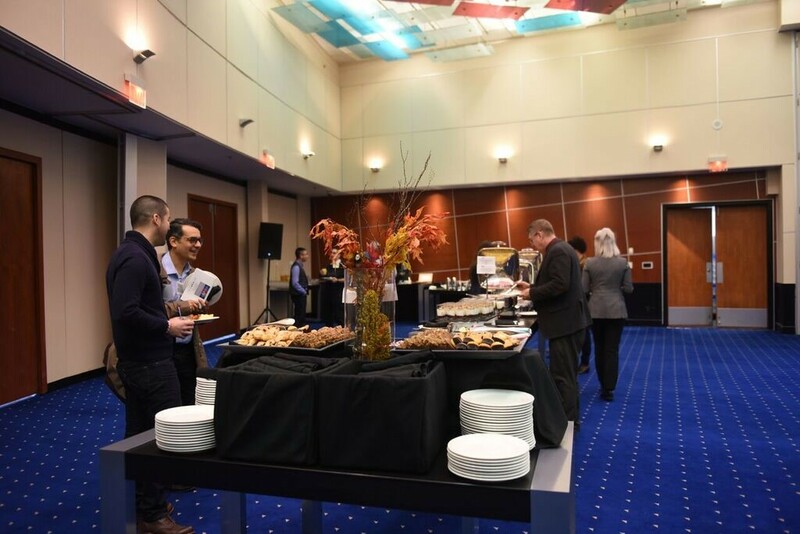 The ‘Creation of a Pan-Canadian Airway Network Conference’ provided the perfect opportunity to forge connections. The conference consisted of four distinct sessions: Bioimaging, Biomedical Engineering, Genetics/Genomics, and Clinical Translation. The Chair of each session moderated 2-3 presentations from distinguished local and national investigators, followed by their engagement in a panel discussion. The audience was invited to ask questions either online or through a microphone, generating an intellectually stimulating but also relaxed dialogue. The chair of the UBC Department of Radiology Dr. Jonathon Leipsic set the stage for Dr. Grace Parraga (Robarts Research Institute) and Dr. Jonathan Rayment (B.C. Children’s Hospital Research Institute). Dr. Parraga evaluated the use of ‘Hyperpolarized gas Magnetic Resonance Imaging’ as a fast diagnostic tool used to convey information about COPD severity. Despite being an expensive technique, it does overcome conventional challenges of using a spirometer to measure lung function.2 Dr. Rayment expanded on this technique’s significance as it can be used to calculate ventilation defect percent (VDP)3, which is a sensitive indicator of lung disease in cystic fibrosis. His work as a pediatrician opened the suggestion to focus research on the origin of COPD and also highlighted the challenges of diagnosing COPD in young children. Dr. Karen Cheung introducing the Biomedical Engineering section. 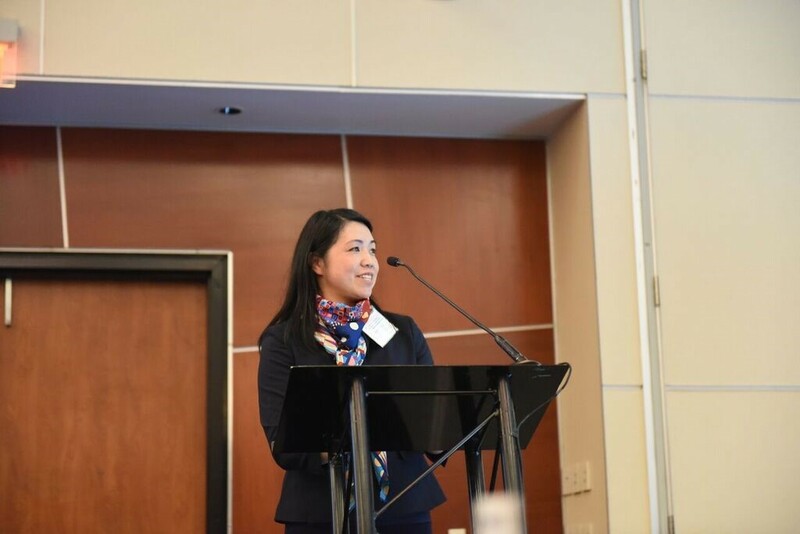 Dr. Karen Cheung (a Director of the UBC School of Biomedical Engineering and PI in the Centre for Blood Research) introduced Dr. Edmond Young (University of Toronto) and Dr. Jeremy Hirota (McMaster University). Dr. Young introduced the applications for organ-on-a-chip, the method of growing lung and other tissues in hydrogel or other matrices within the chip, and how conditions can be controlled, such as ash particles passing by smooth muscle and epithelial cells, to study slight changes in environment. 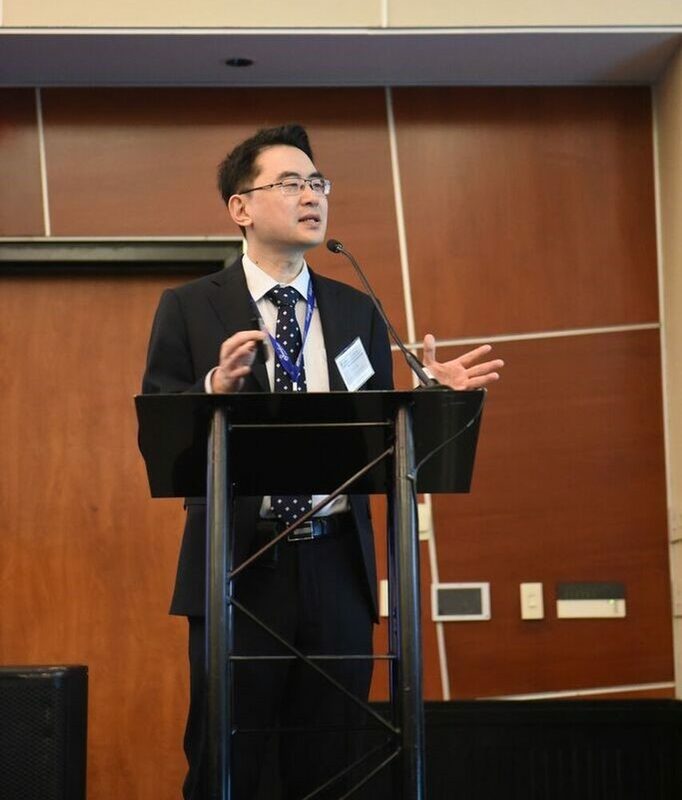 Dr. Hirota emphasized the significance of using flow systems in microfluidic devices to study tissues in a chip, and how he partners with Aspect Biosystems for 3D tissue printing. Such devices could be the next alternative to animal models, presenting a more affordable, ethical method to study human tissue with greater experimental control. 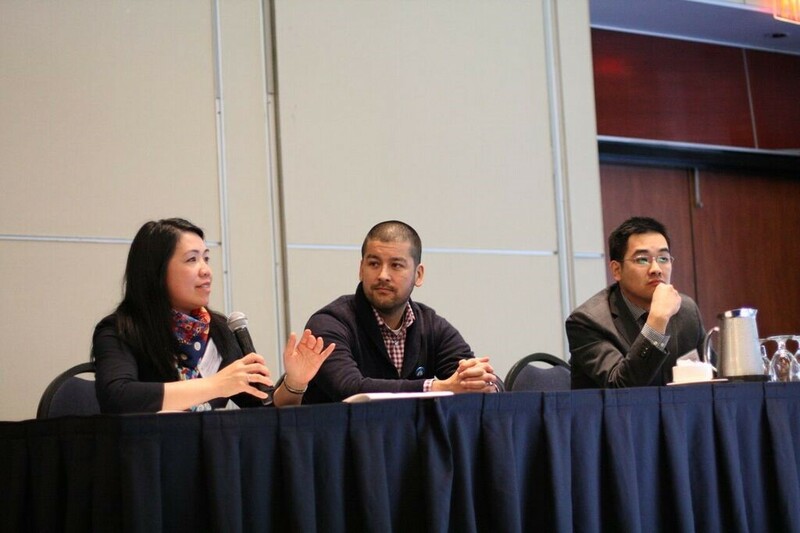 Panel Discussion: Dr. Karen Cheung (left), Dr. Jeremy Hirota (centre), and Dr. Edmond Young (right).